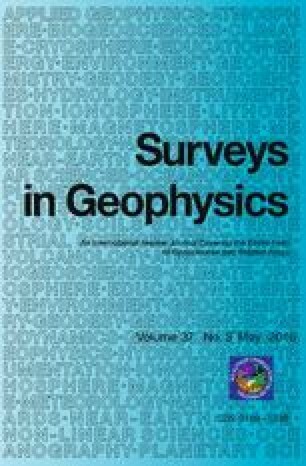 Ground and aeromagnetic data are combined to characterize the onshore and offshore magnetic properties of the central Philippines, whose tectonic setting is complicated by opposing subduction zones, large-scale strike-slip faulting and arc–continent collision. The striking difference between the magnetic signatures of the islands with established continental affinity and those of the islands belonging to the island arc terrane is observed. Negative magnetic anomalies are registered over the continental terrane, while positive magnetic anomalies are observed over the Philippine Mobile Belt. Several linear features in the magnetic anomaly map coincide with the trace of the Philippine Fault and its splays. Power spectral analysis of the magnetic data reveals that the Curie depth across the central Philippines varies. The deepest point of the magnetic crust is beneath Mindoro Island at 32 km. The Curie surface shallows toward the east: the Curie surface is 21 km deep between the islands of Sibuyan and Masbate, and 18 km deep at the junction of Buruanga Peninsula and Panay Island. The shallowest Curie surface (18 km) coincides with the boundary of the arc–continent collision, signifying the obduction of mantle rocks over the continental basement. Comparison of the calculated Curie depth with recent crustal thickness models reveals the same eastwards thinning trend and range of depths. The coincidence of the magnetic boundary and the density boundary may support the existence of a compositional boundary that reflects the crust–mantle interface. The authors acknowledge the logistical and financial support and research grants provided by the Department of Science and Technology through the Philippine Council for Industry, Energy and Emerging Technology Research and Development and the University of the Philippines—National Institute of Geological Sciences (UP-NIGS). Constructive discussions with members of the UP-NIGS Rushurgent Working Group are gratefully acknowledged. We thank Michael Rycroft and two anonymous experts for their critical reviews that greatly improved this manuscript.